Hello my friends...OK two posts in one day...aren't you lucky! I wanted to show you all how to make your own "folders" for your Cuttlebug/Sissix. I know Mr. Cuttlebug would not be happy with me...oops. Cut your design by hand or use a Silhouette/Cricut. 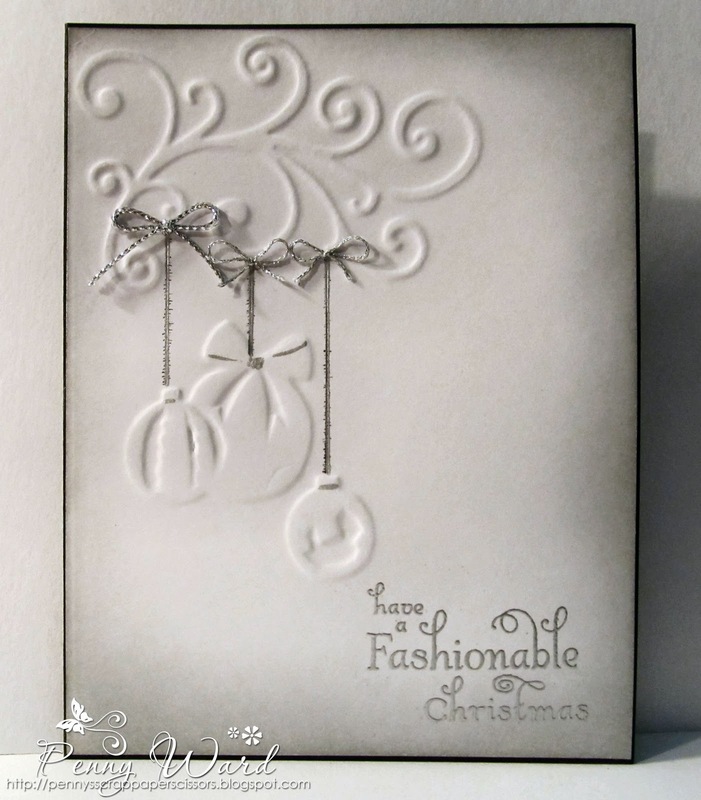 You will want 3 layers of heavy cardstock of the same design, then glue on top of each other to make a small stack. ABOVE: I die cut My Favorite Things Flourish 3 times and glued together. I then stamped the Christmas ornaments from Penny Black Christmas Treasures three times and handcut, then glued into a stack. Take a piece of cardstock and apply your cut stacks with temporary adhesive as desired. The possibilities are endless ... Have Fun! Wow Penny! Fabulous idea and stunning card! What a brilliant idea Penny! Love your card! Thanks for sharing!